A literature review was undertaken to frame the context for adaptation applications. This identified relevant decisions and support methods, particularly for medium to long‐term decisions. A country background and policy assessment was undertaken to understand the adaptation context in Rwanda. 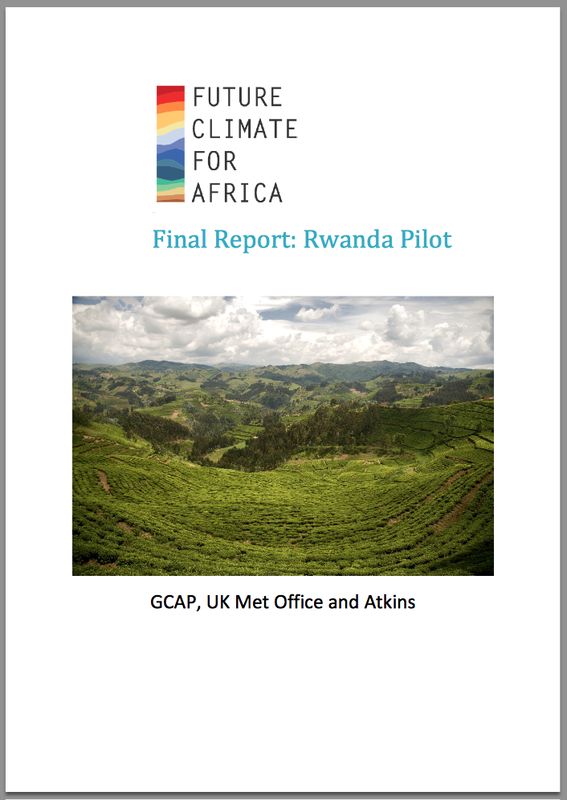 This included analysis of development plans, the DFID office portfolio, current vulnerability, future climate projections, key future climate risks, and existing climate change / adaptation activities. An initial country visit was undertaken and a large number of bi‐lateral interviews (25) were held with key stakeholders, to understand the decision context and end‐use applications for existing and potential adaptation activities, and to explore the current/future use of climate information. 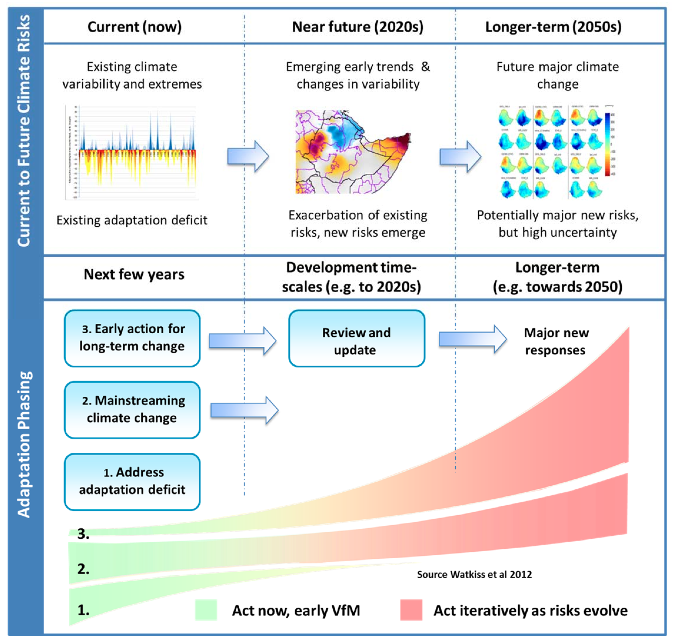 A number of practical and policy relevant medium‐long term adaptation case studies were selected and assessed in detail, considering the problem area, decision processes, current use of climate information, and the opportunities for medium‐ to long‐term policy making. New CMIP5 climate projection information (focusing on relevant case study metrics) was developed, and a review of climate‐hydrological information needs was made. The case studies were discussed in a second country visit / interviews.